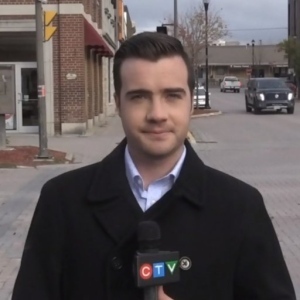 Drew McMillin is a videojournalist with CTV News Northern Ontario in Timmins. Born and raised in Barrie, Drew is excited to now call Northern Ontario home. Prior to joining CTV News Northern Ontario, Drew worked as a story editor at SportsCentre on TSN. He has also worked as a news and content producer at Muskoka411.com and as media coordinator for a lacrosse team in the GTA. Drew graduated from the College of Sports Media in the spring of 2018. He was the recipient of his class’s Outstanding Television Achievement Award in 2018 and Outstanding First Year Achievement Award in 2017. He also earned a Bachelor of Commerce from the University of Ottawa in 2013. Before beginning his career in broadcasting, Drew earned his Chartered Accountant designation while working at an accounting firm in Toronto. Drew enjoys downhill skiing, golfing and playing hockey, as well as spending time with his family and friends. When he’s not working, you’ll probably find him watching the Leafs, Blue Jays or Chicago Bears or out hiking with fiancé Magda and their dog Penny.